For children, the importance of leading a fit and healthy lifestyle is just as important as adults wanting to do the same. The importance of what we learn as we grow tends to stay with us through our teenage years to adulthood so if you are a parent setting good examples is a great way to start. For kids in the UAE there is so much ‘home based’ entertainment which is in itself creating a more sedentary lifestyle. 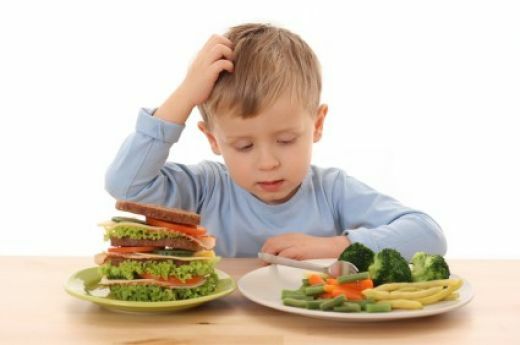 This, coupled with an increase in the availability of fast food and generally unhealthy eating habits is causing concern that children are becoming ‘less fit’ at a younger age which can result in health issues now and in their future. Home based sedentary entertainment also means many children rarely take part in any extracurricular sports or fitness activities. In our early years we learn from adults, our peers and also the environment around us. Instilling children with a good mind-set about sports, healthy eating and exercise in general from a younger age can help children to lead a healthier life throughout their life. With so many sporting facilities and clubs, exercise classes, fitness lessons and more just for kids in the UAE it is so easy to get out and about and add enjoyable activities into their daily lives. Remember, being fit and healthy doesn’t need to be a chore. The Q&A sessions in this section of the UAE Personal Trainers website can help provide tips and information about children’s health and fitness in Dubai, Abu Dhabi and Sharjah. All of these Q&A sessions have been created by professional personal trainers in Dubai, Abu Dhabi and Sharjah. 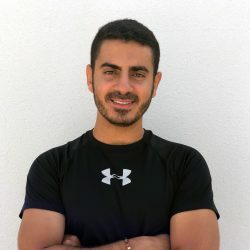 If you are just looking for advice or perhaps need a personal trainer in the UAE to help with your children’s health and fitness the information is here for you. 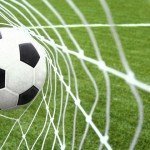 If you want to improve your football playing skills in Abu Dhabi you need to work on your fitness as well as your game play. These top 5 football fitness tips for kids in Abu Dhabi will help. Weekly Exercise For Kids - How Much Should They Do In The UAE? Exercise – some kids love it and some kids hate it! 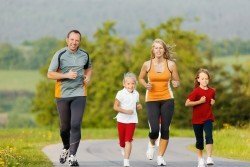 How much exercise per week should your children be doing and what are the most popular exercise techniques for kids? It’s a growing problem. How can professional children’s personal trainers help UAE parents with children’s weight loss and longer term weight management? 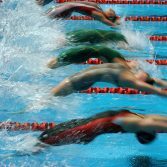 If you are a parent in Dubai who is thinking about swimming lessons for your kids this Q&A will help you decide why kids in Dubai need to learn to swim from an early age. Why Is It Important For Kids In Dubai To Learn To Swim? Most children enjoy the pool, especially when the weather is hot. Splashing around in the pool is great fun but all children in the UAE need to know and learn the importance of learning to swim. Tennis is a great way to get fit and stay in shape. However, it’s not only great for adults but children from a young age can also enjoy the health, fitness and lifestyle benefits that playing a sport like tennis provides. For many teenagers in the UAE body image can lead to low self-esteem. During these impressionable years it’s important to tackle these problems before they get out of control. How can parents in the UAE help? PT in Abu Dhabi Uros gives some useful tips and advice. If you are a parent in the UAE who feels your kids need to be more active then CrossFit in Dubai or Abu Dhabi could be the solution you are looking for. 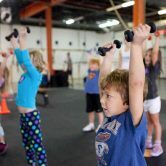 CrossFit provides varied training methods ensuring kids never get bored. Getting children involved in exercise in the UAE can sometimes be difficult. Circuit training is ideal because it can be tailored to provide a fun way to get kids more active. Football for kids in Abu Dhabi and Dubai has so many health benefits. Get kids active with football coaching or one to one lessons. Kris, a Dubai PT explains how football can help with children’s fitness in the UAE. 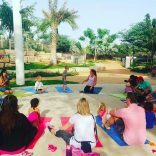 Yoga classes for kids, kids and parents and even babies and parents is a great way to get some gentle but regular exercise for the whole family in the UAE. Kids in Dubai & Abu Dhabi love to be in the water. Swimming for kids provides a great way to get some exercise into your childrens lives by doing an activity that they find fun. 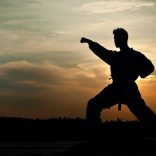 Karate is a great way to add some extra-curricular fitness to your kids lifestyles in the UAE. In this Q&A Danilo, a professional Karate instructor in Abu Dhabi provides some great tips and advice for parents. 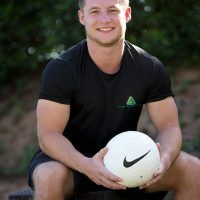 In this question & answer session Dubai personal trainer Kieran Francis discusses the issues relating to obesity in children in the UAE and how personal trainers can help. 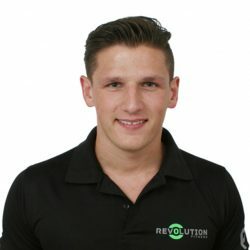 If you need to find a personal trainer in the UAE who can help with children’s fitness the UAE Personal Trainers website is the place to look. All of the male and female coaches listed below are qualified to work with kids in Dubai, Abu Dhabi and Sharjah.